I want to thank all who have served - are serving now - their families and to so many who have lost their lives so that we are protected and have our freedom. We are eternally grateful and will never forget. 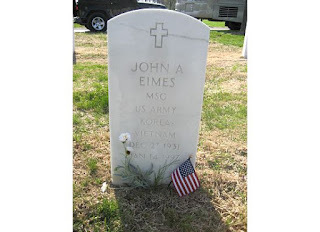 John Adam Eimes ~ 27 Dec 1931 ~ 14 Jan 1997 ~my father ~ served for the United States Army in the Korean and Vietnam Wars. 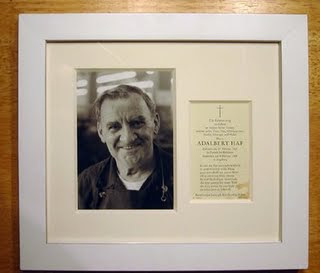 He was injured by shrapnel but continued on and retired from the Army many years after. Date of retirement is unknown at this time. He is buried at Jefferson Barracks National Cemetery in Saint Louis, Missouri. Robert Newton Eimes ~ 06 Jun 1898 ~ 25 Aug 1979 ~ my paternal grandfather ~ served in the United States Army in WWI. As of this date, I have very little information on his military status. He is buried at Camp Nelson National Cemetery in Nicholasville, Kentucky. I have no photos at this time. 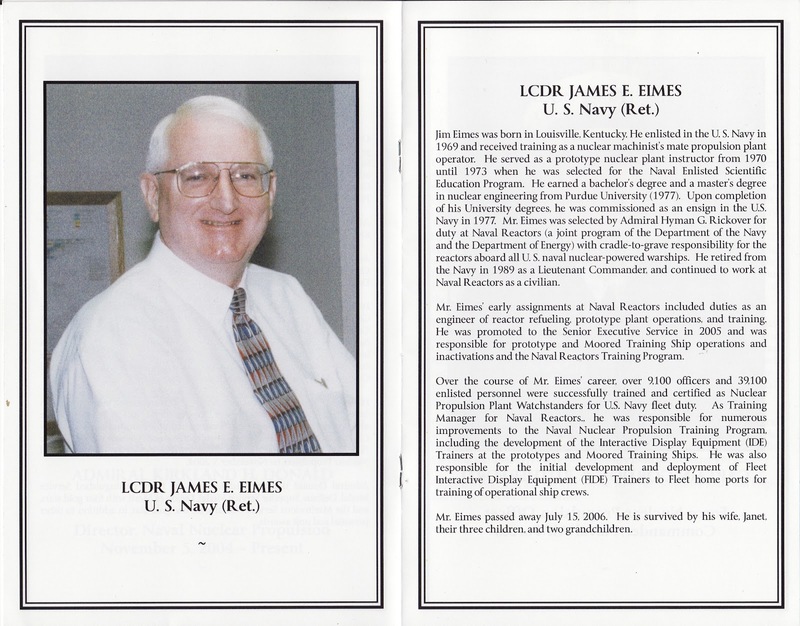 James E. Eimes ~ 07 Sept 1950 ~ 15 July 2006 ~ my paternal first cousin ~ served in the U. S. Navy and received training as a nuclear machinist's mate propulsion plant operator. He served as a prototype nuclear plant instructor from 1970 until 1973 when he was selected for the Naval Enlisted Scientific Education Program. He earned his bachelor's degree and a master's degree in nuclear engineering from Purdue University in 1977. He was then commissioned as an ensign in the U.S. Navy in 1977. 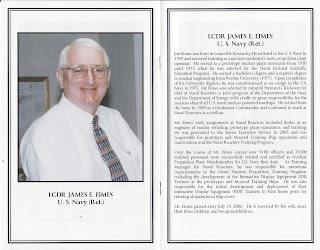 James was hand selected by Admiral Hyman G. Rickover for duty at Naval Reactors ( a joint program of the Department of the Navy and the Department of Energy) with cradle-to-grave responsibility for the reactors aboard all U.S. naval nuclear-powered warships. He retired from the Navy in 1989. A4W Fleet Interactive Display Equipment (FIDE) Training Simulator on September 11, 2008. "Too much training is just about right"
To all who have fallen - rest in peace - we will never forget. To all who fight for us, we are grateful to you and your families - we will never forget.